More party business to discuss in the way of the Insta-aware. 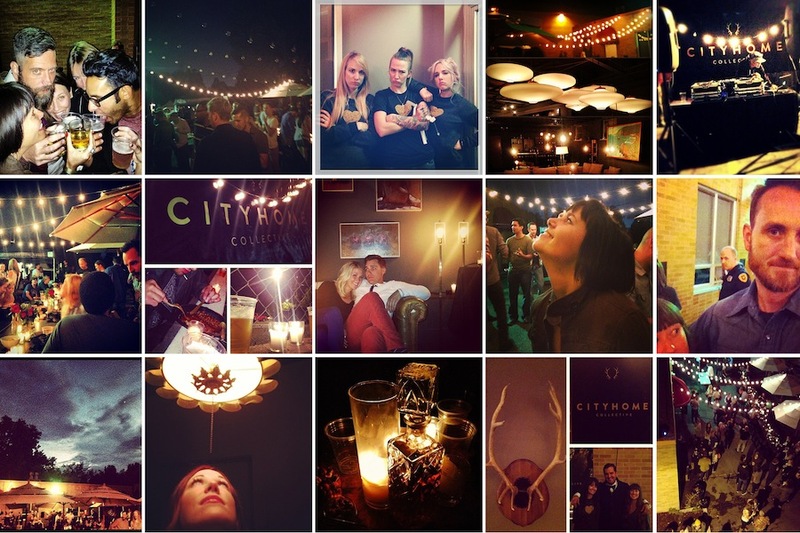 Those phone-weilding party goers that participated in our Insta-Winna contest pleased us, indeed. We got some solid Brew & 'Q memories in a teeny-tiny square format, and we loved browsing through them. Check them out here -- they've got a lot of good lookin' folks and a hashtag worth committing to memory [#cityhomecollective]. Reminder of the contest basics: we browsed the shots and picked our favorites of the night. For those lovelies, the photogs will get a free and nifty design consult with Cody and Andrea. Cool, right? Well, for the tip-top fave of the evening's Insta-photos, we have a fresh, tidy COLLECTIVE sweatshirt [or tee, should you choose it] and something really super: a night in the COLLECTIVE lounge for the event/evening of your choosing. Obviously, there are themes we can't allow. Say, "Learning to Mosh," "Welding the Right Way," or "Home Circumcision and YOU"...those are out. But we can discuss all this with the winner. We had plenty of entries to sift through, many of which were in the running, whether or not they made it. We like that you got into this, and a million thanks for all the possibilities. You guys are super cute [and we love that one of you had the sense to get a photo with the cops]. FYI: We decided to make our choices based on the shots alone, rather than the number of 'likes' it may have received. We've contacted each of you chicken-dinner winners via Instagram -- if your shot is below, make your way back to our COLLECTIVE space to claim your prize. Easy, breezy. Three cheers for you guys!